A question was asked of several of Bermuda’s centenarians what do they attribute to their long lives. Many talked about their life styles. I recalled a line in one of the speeches made by Martin Luther King Jr.” Longevity has its place” So it appears that it certainly has made it’s presence felt here in Bermuda in the past couple of years. I take this opportunity to write about some of our centenarians and name the others. EVELYN ISABEL SMITH: August 1906-April 2011, One of the eldest was a resident of Devonshire she was a soft spoken much loved person who was a devote member of the St. Monica’s Church she involved herself in many community activities. 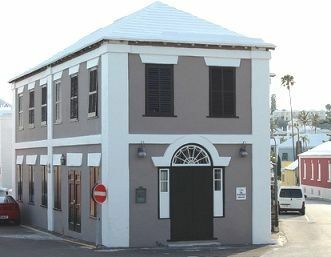 A long term member of the Household of Ruth Lodge #61 and an employee at the Bermuda Book Store for many years. She was world travelled and at age 90 she climbed Flattop Mountain in Alaska. Mrs. Evelyn Isabel Smith lived to be 104 years old and left her family friends and Community with fond memories of the woman she lived to be. DORIS JOSEPHINE CORBIN M.B.E. Oct. 1911-Sept.2015 was born to William and Dorcas Franklin Heyliger.She attended Stovells’ and the Excelsior schools. 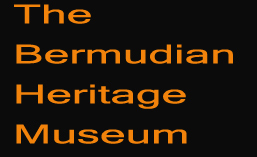 She became involved in many aspects of Bermuda’s Culture. She demonstrated a love for music at a very early age. In 1932 she became a Charter member of Bernarr McFadden Physical Culture Club. Doris was one of the original members of the 1st. excelsior Girl Guides and 1st. excelsior Rangers. She represented Bermuda as a delegate at the Coronation of King George in 1931. Mrs. Corbin displayed her musical accomplishments learning how to play the reed Organ and assisted as an organist at Mount Zion A.M.E.Church Bermuda. She was further introduced to the organ by the wife of Pastor Pottinger who was pastor at St. Paul A.M.E Bermuda. She was asked to accompany many choirs but her greatest joy was when she became church organist at St. Paul A.M.E. Church Bermuda sadly after the death of Mrs. Emily Dill . She later became director of the St. Paul Senior Choir. She was well travelled and put her heart and soul into everything she sat her hand to. She was an educator and admired by many of her students. Mrs. Corbin who had a hand in teaching this Poet/Author/ researcher and web-master of this web-site once relayed to her that good things do come out of North Village after she had read the first book authored by this web-master. I agree that good things do come out of the Village. This gracious lady met her reward at age 104. Without question she made her contribution to her family her community and our Cultural history. Well done oh faithful servant of God. (see info. on her on other page) Roselyn Taylor Robinson Educator 103.wife of Dr. Kenneth Robinson, Esther Allen Bently Musician 102. Lavinia Dill 103 , Ismay Steede Anderson 100, Kathlyn Dyer 100, Ilona Simons Landy 105. Ruth Ann Marie Simons 101 wife of the well known cup match cricket star Authur Simons. Yes Longevity has its place and well done to these persons listed who made their vast contribution to Bermuda what a wonderful era in our Black history.